Also known as Goldenrod, Solidago is a genus of flowering plants that belongs to the aster family, Asteraceae. It is marked by its clusters of small, strongly scented, golden flowers atop tall, wood-like stems. For many, its bright flowers signify encouragement and growth. Its presence as botanical filler in floral arrangements adds color and depth. It also dries well for use in dried arrangements. 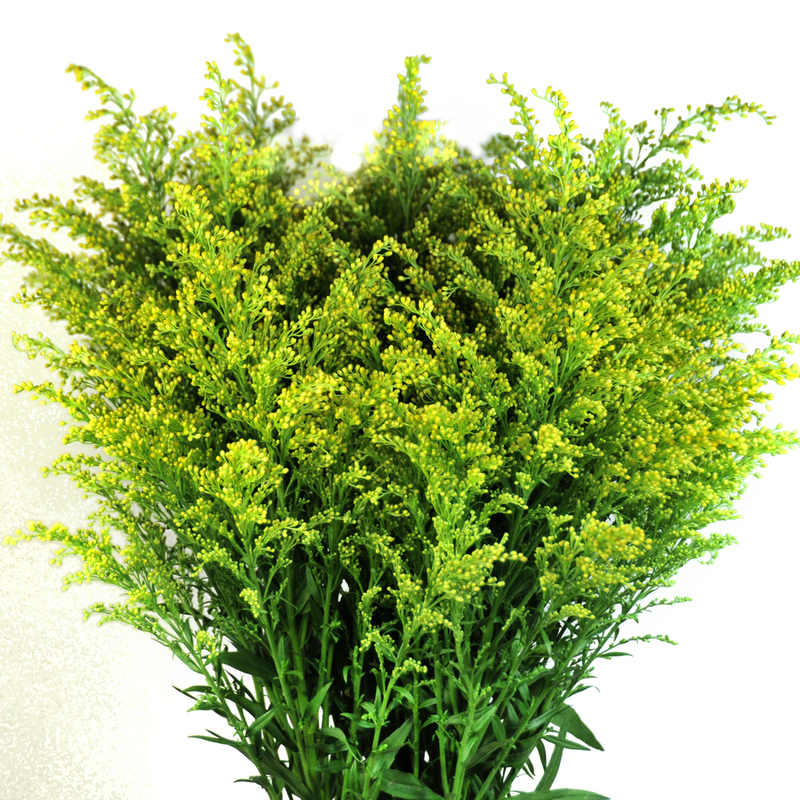 CARE & HANDLING: Trim solidago stem ends to create a fresh surface to absorb water. Carefully remove all foliage below the water line and place in a clean container filled with cool water. Change the water and re-cut the stems every couple days.